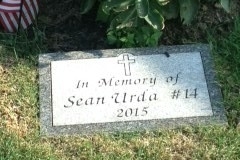 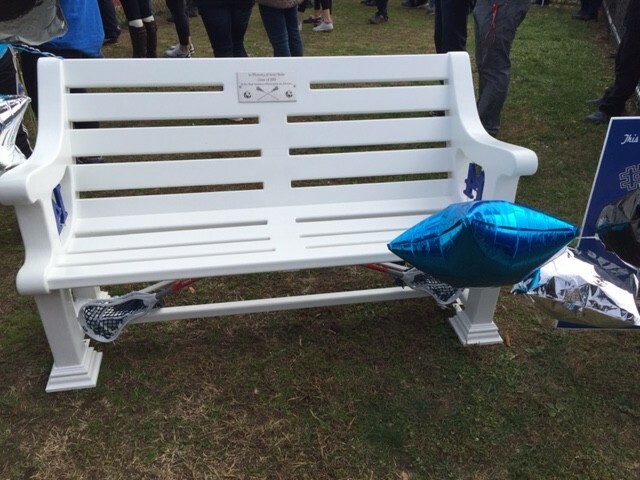 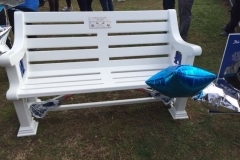 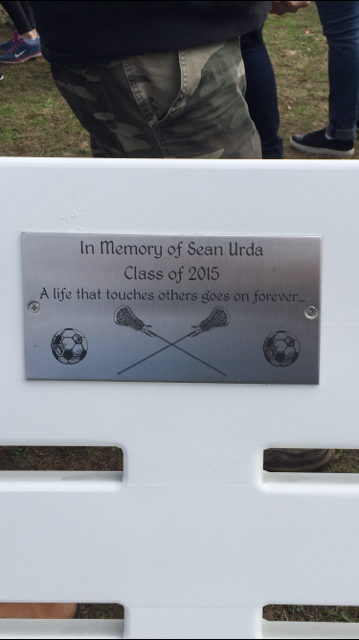 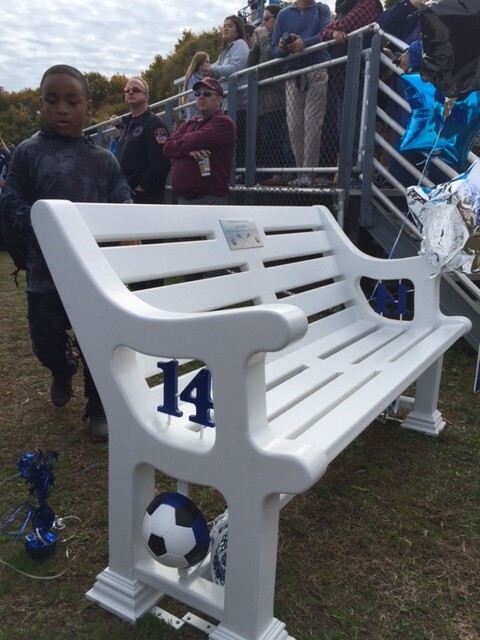 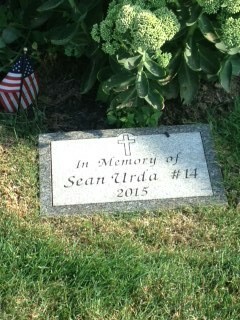 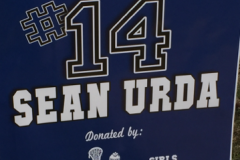 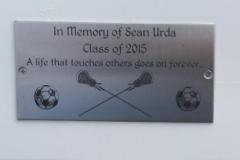 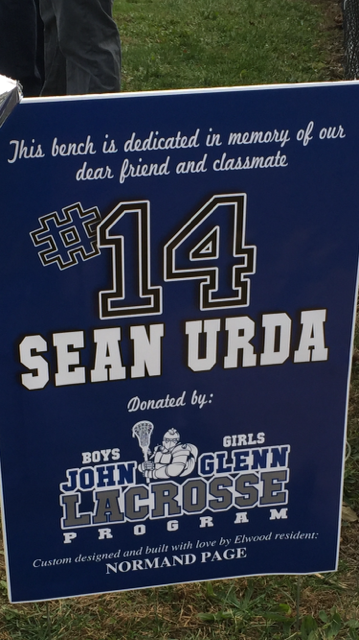 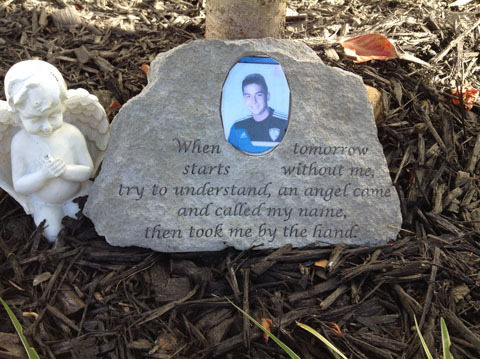 This unique, handcrafted bench was generously donated by Sean’s Lacrosse Family at John Glenn HS. 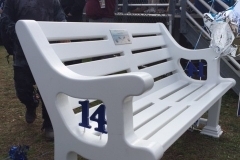 It was designed and built by local craftsman, Norm Page with the help of parents and the community and sits in the courtyard at the high school. 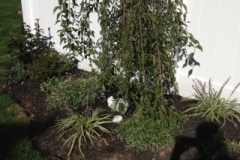 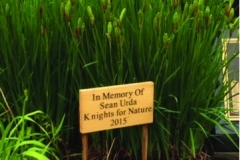 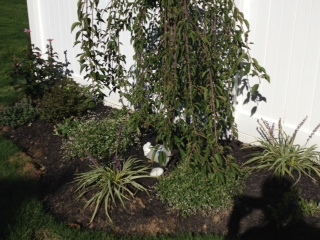 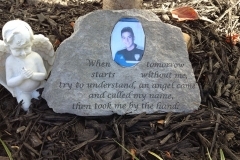 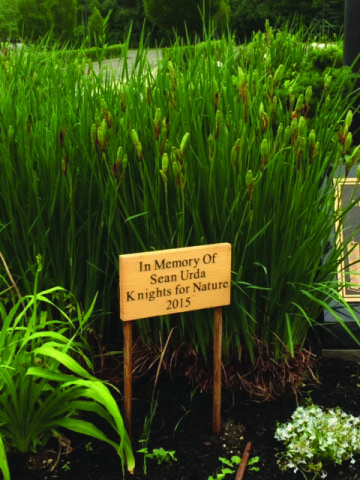 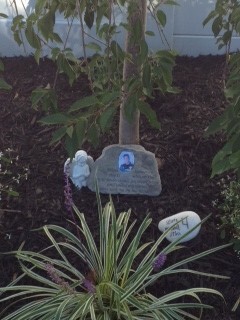 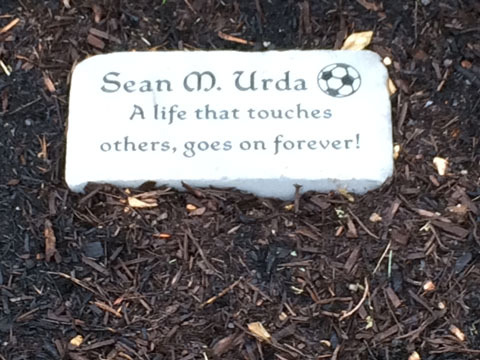 This beautiful memory garden was donated by James & Karissa Tomeo and lovingly planted by James, who not only was a good friend to Sean but a big-brother and someone Sean looked up to. 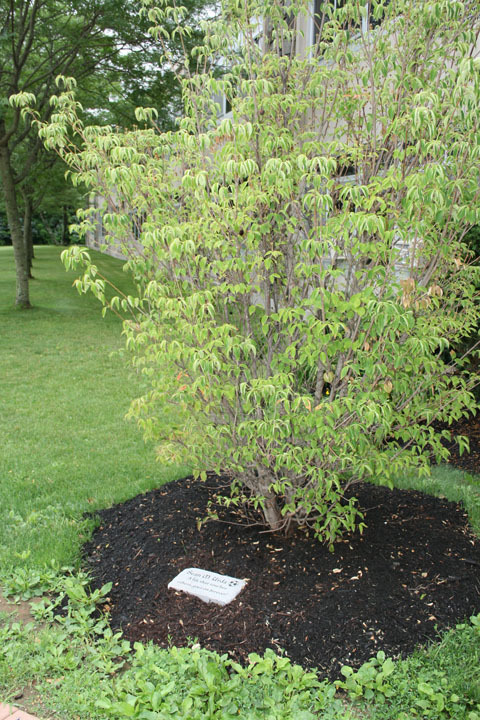 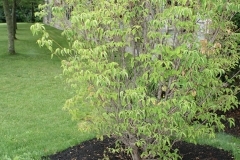 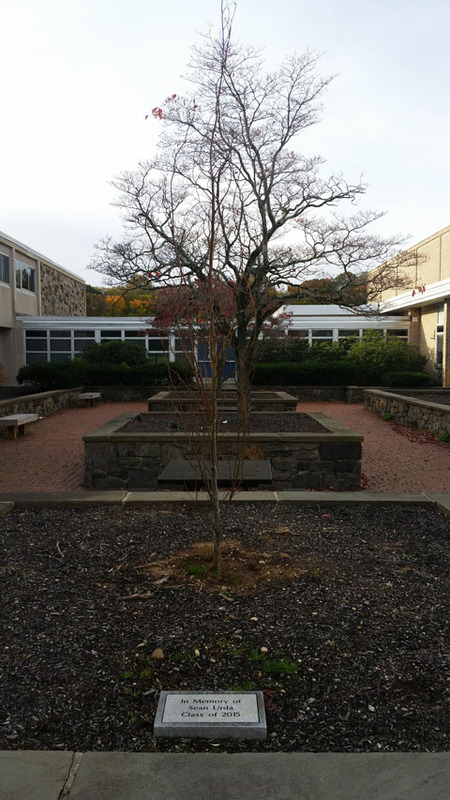 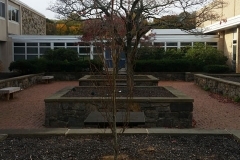 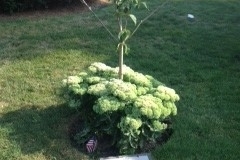 This Kousa Dogwood Tree, planted at the entrance to John Glenn High School, was lovingly donated by our dear Villanova friends. 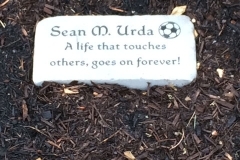 The kind and generous stewards of the St. Anthony of Padua Religious Education Program graciously planted this tree with the plaque in memory of Sean in the garden of our parish. 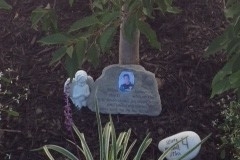 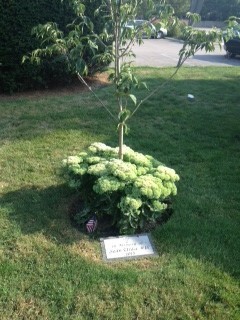 Located in the courtyard of John Glenn HS is a beautiful tree and plaque generously donated by the Herlich Family.